Preppers love essential oils because they know that if society were to crumble and picking up Tylenol at the drugstore wasn’t an option, essential oils would be there to often save the day. There are dozens and dozens of uses for tea tree oil; here are 5 medicinal uses, and 5 household uses that should convince you to pick up a bottle, if you’re not stocked up already. There’s really no such thing as a “clean” toothbrush. Every time you flush the toilet, bacteria gets spewed through the air in all directions. Even if you make an effort to keep your toothbrush as far away from your toilet as possible, it still isn’t 100% protected. Those pathogens travel! And even if you didn’t have the toilet to worry about it, you’re still using your toothbrush to scrape crud off your teeth, making it a bacterial breeding ground. One little drop of tea tree oil can disinfect your entire toothbrush. You can soak it in vinegar, too, but tea tree oil is faster, you use less of it, and it’s more potent. Your house doesn’t have to smell like Pine-Sol to smell clean. You can clean up moldy areas of the house by mixing one drop of tea tree oil with a cup of water, spraying it on the mold and then wiping it clean. To disinfect your kitchen or bathroom, simply sprinkle a few drops along with baking soda on the surface you wish to clean, and give it a gentle scrub. Most over-the-counter hand sanitizers contain alcohol or harsh, drying chemicals such as triclosan. Triclosan has been under fire by health experts in recent years over fears that they may contribute to the rise of antibiotic-resistant “superbugs.” Plus, hand sanitizers are loaded with parabens that have been linked to cancer, endocrine disruption, reproductive toxicity, immunotoxicity, neurotoxicity, and skin irritation. In fact, health regulators have found no health benefits associated with triclosan – only dangers. Over-the-counter vaginal yeast treatments can be pricey, and they often make symptoms worse before they get better. Prescription drugs like fluconazole (brand name: Diflucan) work, but if you get yeast infections frequently, taking too much of the drug can harm your liver and kidneys. It’s always good to have alternatives. Don’t spray chemical bug repellents that can be inhaled or absorbed through the skin. 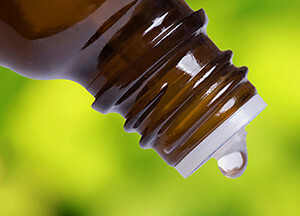 Just ad 15 drops of tea tree oil to a quart of water and spray it on your body where bugs seem to always attack you. FYI. Tea tree oil burns. i would not put it on a tampon. Exactly! I’m amazed at the advice given here. SMH, oil and water don’t mix! Never ever ingest essential oils or use internally ….